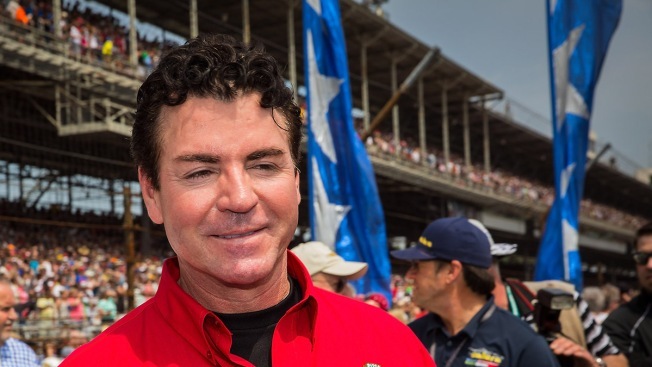 Papa John's is attempting to ward off its disgraced founder by adopting a poison-pill plan. The company is struggling to distance itself from John Schnatter, who resigned as chairman this month after his use of a racial slur during a media training session was revealed. He stepped down late last year as CEO after becoming enmeshed in the national anthem issue involving NFL players, saying it was hurting pizza sales. Schnatter, who later said his resignation was a mistake, is still the pizza chain's biggest shareholder. He founded the company in 1984. Papa John's, based in Louisville, Kentucky, said late Sunday it will put a shareholder rights plan in place for a year. The plan would be activated if anyone acquires 15 percent or more of the company's outstanding shares without board approval. That would effectively prevent Schnatter, who holds 30 percent of all outstanding stock, from gaining a controlling stake in the company. Papa John's International Inc. has started scrubbing Schnatter's image from its marketing materials and has said it's evaluating all of its ties with him. Several Major League Baseball teams have responded to Schnatter's remarks by suspending their relationships with the company. Schnatter still serves as a board member. It's holding off Schnatter as it struggles to reinvigorate the brand. Shares of Papa John's International Inc. are down more than 30 percent over the past year.